Year on year, businesses of all sizes continue to discover the tremendous value made available to them by favouring refurbished forklift trucks over new models. If a used forklift is refurbished properly it will work just as well as it did when it rolled off the assembly line, so long as you get it from a reputable dealer. The problem is, if you don’t buy your forklift from an experienced supplier who understands the refurbishment processes inside out, you can set yourself up for some severe repair and maintenance costs further down the line. Here, at Fork Truck Direct, we pride ourselves on the quality of the refurbished equipment we supply to our customers. Our program is extensive and thorough – a comprehensive and detailed report is also provided on completion of the work, meaning the entire process is completely transparent. Read on to find out our step-by-step methodology for refurbishing trucks before we induct them into our fleet. The first step of refurbishment is the selection process – one of our Sales Managers will conduct a site survey to gain a full understanding of the operation so that the right model of forklift can be chosen for the application. It is important to us to deliver in terms of both value and performance, so a full understanding of the customer requirements is crucial prior to selecting a truck. 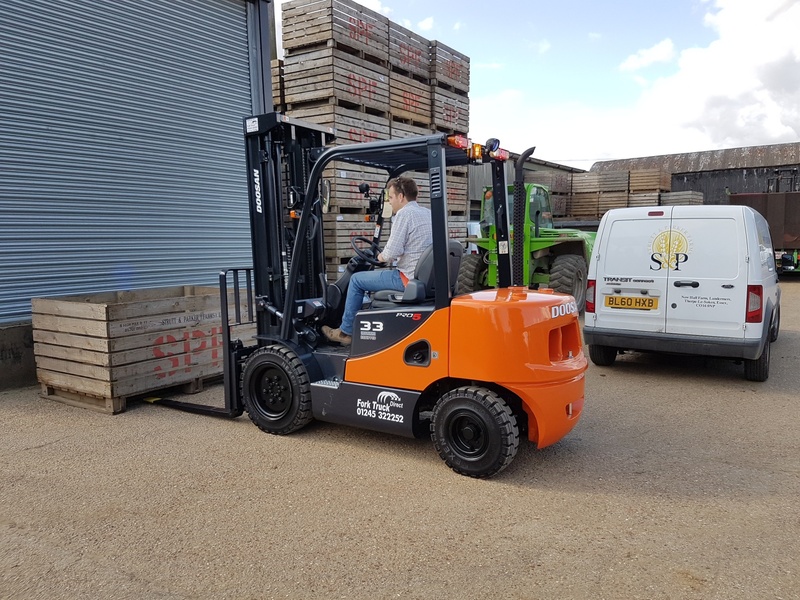 You need a forklift capable of continually handling operational duties for years down the line, and we won’t compromise on delivering that by selling you sub-standard or ill-fitting equipment just for the sake of saving a bit of money up-front. After the selection process, our workshop manager conducts an extensive inspection report of the vehicle in question. Because of how they are designed, external damage to forklift trucks rarely occurs without consequences for the more expensive operational components on the inside. With over 30 years of experience in the repair and refurbishment of industrial vehicles, we have perfected a 135-point inspection process which ensures that any fault is detected, no matter how big or small. The report is then passed to a member of our experienced workshop team who carries out all of the required repair work and fits all of the replacement parts. Once our engineering team has completed all the planned repair work, the refurbished forklift is made to look shiny and good as new in one of our fully-equipped spray booths. It is given a thorough examination (LOLER) by one of our fully-accredited inspectors, and issued with a certificate confirming the success of the thorough examination. We then perform one final, Pre-Delivery Inspection (PDI) in-house before the truck is loaded on to one of our lorry’s and delivered to the customer. As you can see, at Fork Truck Direct we are proud of our refurbishment capabilities, and the time and effort we put into them. Why not let us put some time into the improvement of your materials handling? Whether you’re looking to buy or rent a refurbished forklift truck, the team here, at Fork Truck Direct, are devoted to truly understanding your individual requirements and challenges, in order to provide you with the machine you need. Get the right materials handling solution for your company by contacting us today!